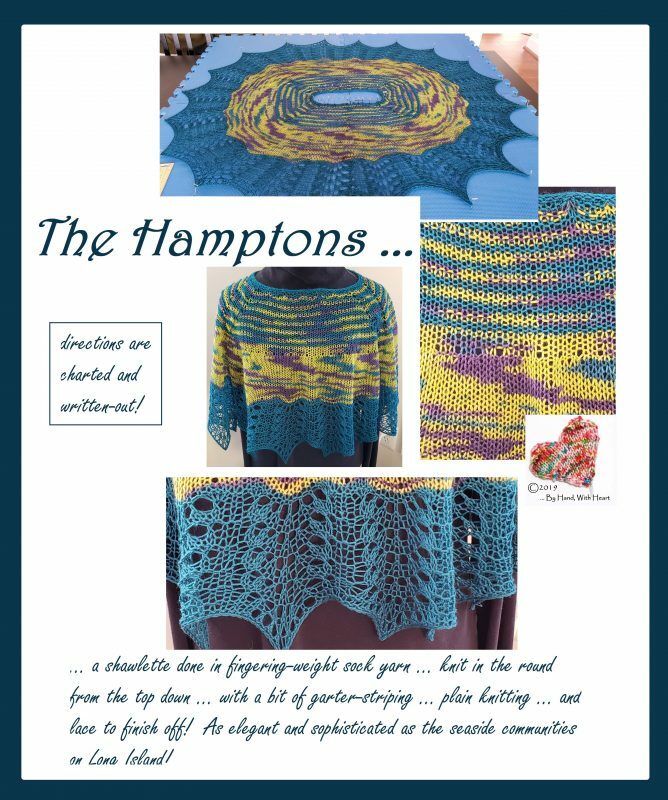 My latest design, and available only in my Ravelry shop, is called “The Hamptons” because it just is so sophisticated and elegant … much like communities on Long Island that are collectively known as “The Hamptons”. For immediate download, this shawlette has cables, garter-striping, lace, and in-the-round knitting throughout. It starts as a rectangular opening at the neck and then smooths out to be a full circle. For an explanation of why this one should really be blocked, check out my post from last week. 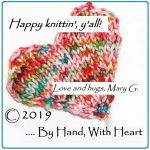 Check out this one and others of my designs on Ravelry!